C & F Installations is a locally owned and operated company that has been serving Saskatchewan for over 50 years. Through the years we have worked with municipalities, golf courses, various companies, and numerous homeowners to help create beautiful landscapes. 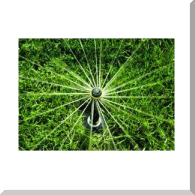 We use only quality products from suppliers such as Rain Bird and Hunter, all while drawing on our years of experience to provide all our customers with a well designed and efficient irrigation system. If you are ever in need of anything irrigation, C & F Installations will be there, from parts, installs, to service.